All functions are powered by one XL-motor. Function and direction is preselected by six clutches and there is one main clutch that activates the selected function. 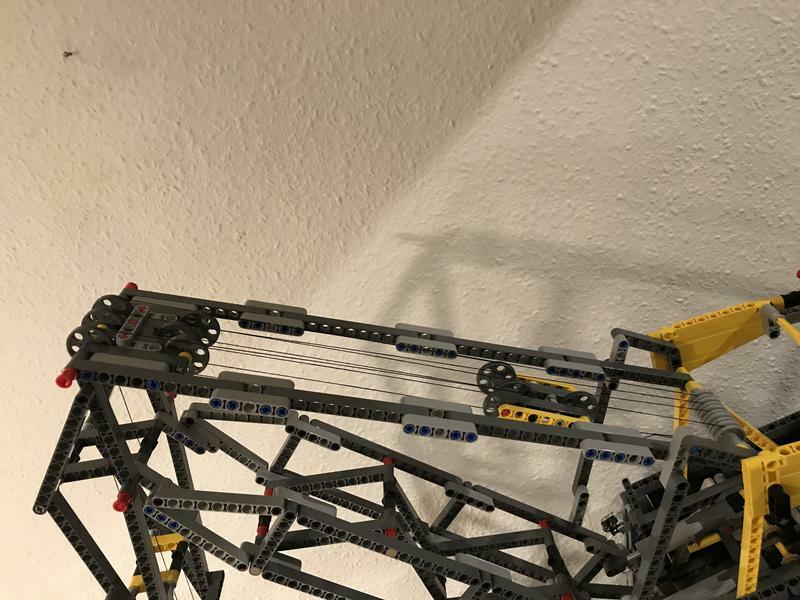 The main clutch works much smoother (it is a friction clutch) than the Lego dog clutch 18947 and allows precise steering. Here is the engine house with 6 sticks to operate the clutches. The red read lever on the right activates the friction clutch. The shovels work as counter weights (with some old batteries inside). It is using about 3000 bricks. Can you imagine to run out of black connector pins with a 42055 on the table? Many thanks to @kolbjha; I adapted your idea using a closed loop to open/close the claw. My crane uses the closed loop to rotate the claw and an additional rope is used for open/close. Very nice build, will be waiting to see the video! A look inside that gearbox would be nice also. I especially like using the buckets for counterweight holders, gives an authentic fell to the build. I think the video will be done in the second week of 2018. The sidewalls of the engine house can be opened - then you see hundreds, nay thousands of gear wheels ... I promise to give a look at them in the video. I also work on an LDD-File, but this is quite tricky. There are a lot of tolerance problems, especially in the gearbox. Good work how 6 levers, but only 4 gearbox? Of course you're right: there are only 4 clutches included in the 42055. The remaining two functions are realized "old school": an axle with gears is moved to mesh the gears alternately. 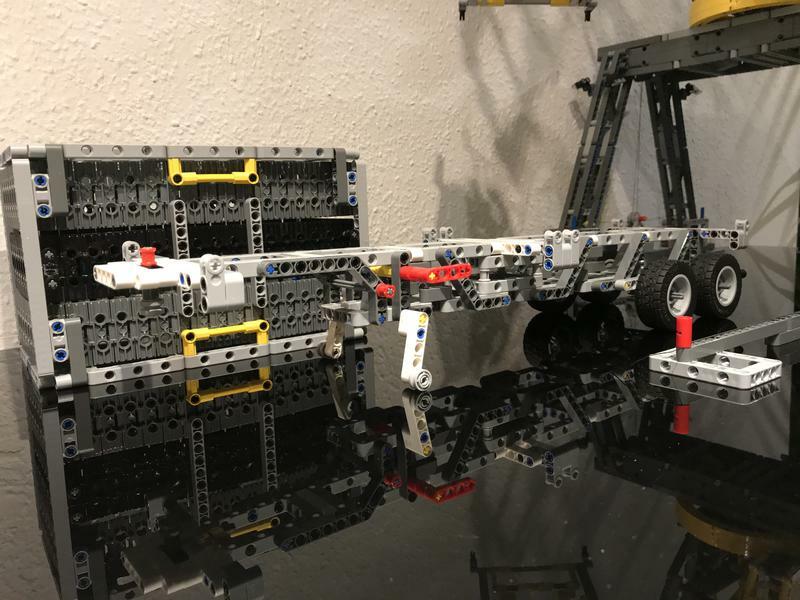 Of course you're right: there are only 4 clutches included in the 42055. The remaining two functions are realized "old school": an axle with gears is moved to mesh the gears. Interesting... Like 40th anniversary vehicle? Not creating hype, just sharing brainwaves. And am also very excited. Yes, 42055 is a fantastic set for c models. And in relation to the number of bricks it is quite cheap. I got mine for 175 Euro - less then 5 Cent per piece! As I wrote above I am away from my LEGO right now and it will take a while to bring more information and the video to this topic. Anyway [TC13] is catching a lot of attention right now (what a beautiful contest and some very interesting topics have been started ). 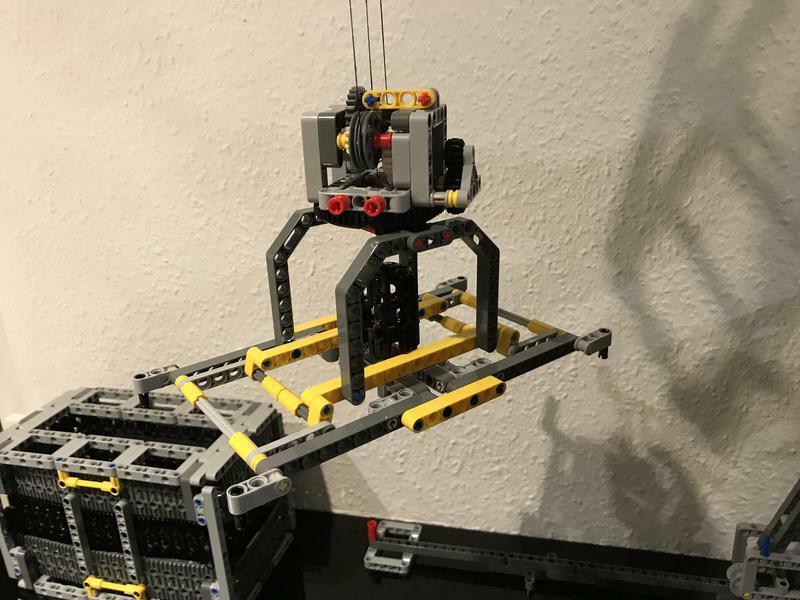 So I will work on the LDD-file of my crane during holidays (and the video when I am back home) and I'll be back here when [TC13] is finished. This is incredibly cool. I really like it Leonard - wonderful job. Great idea! I’m very much looking forward to building this! 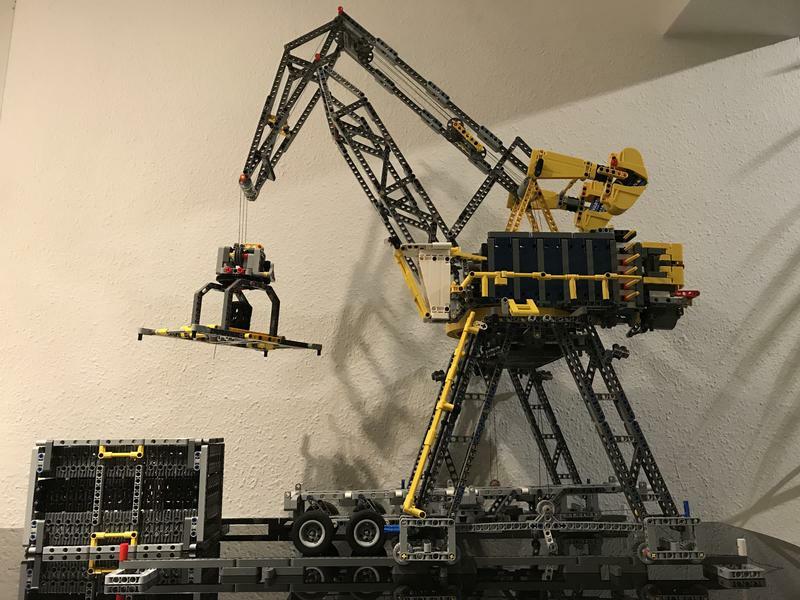 I had bought the 8053 just to build the harbour crane. Wonderful work! I just love it! Very nice c-model. I can't wait to build it. 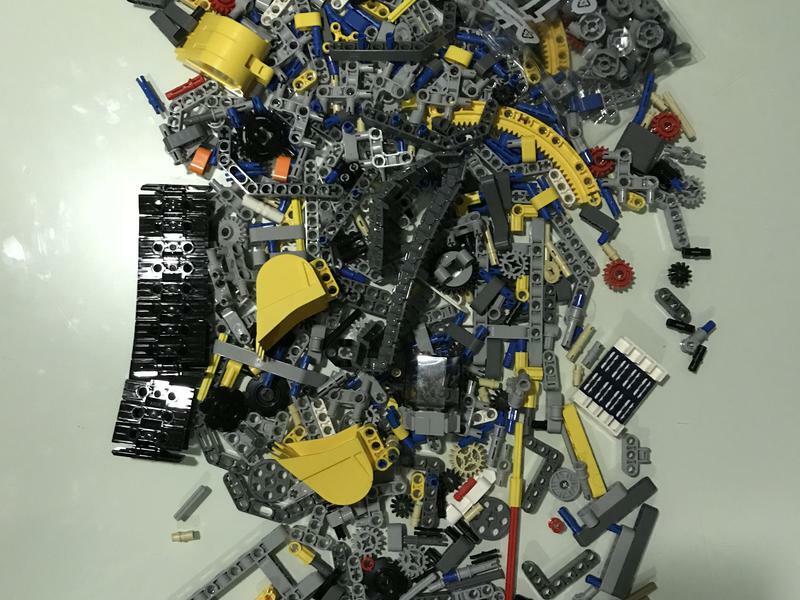 My 42055 is already disassemble. The LDD-file is growing. I will have to do some final checks when I am back home. First part of the LDD is set to be published in the second week of 2018. You can post this on Lego Ideas!It will gain an awful lot of support! To what end? With the aim of TLG re-releasing the set with C-model instructions? With the aim of TLG re-releasing the set with C-model instructions? Technic MOCs don't do well on lego ideas at all. Trust me, I've tried. Never mind, sorry. Technic MOCs don't do well on lego ideas at all. Trust me, I've tried. That’s beside the point. A C-model is never going to get accepted by TLG. How could it be? A C-model is never going to get accepted by TLG. How could it be? Makes sense. My comment was somewhat irrelevant but my point was that Technic builds aren't generally well accepted like system builds are on LEGO Ideas. Many thanks for all the comments - but I agree to @Boulderer: it doesn't make sense to send a C-model to ideas. And additionally I don't want to make money with Lego. This is a hobby. It is great fun as long as you don't take it to serious. Anyhow taxes in Germany are that stupid high - it is better to stop working once your income fits your needs (and better use your time to play Lego ). it took some time to complete the LDD-file and the video (thanks for your patience), but now it is done. Enjoy! Edit 14. 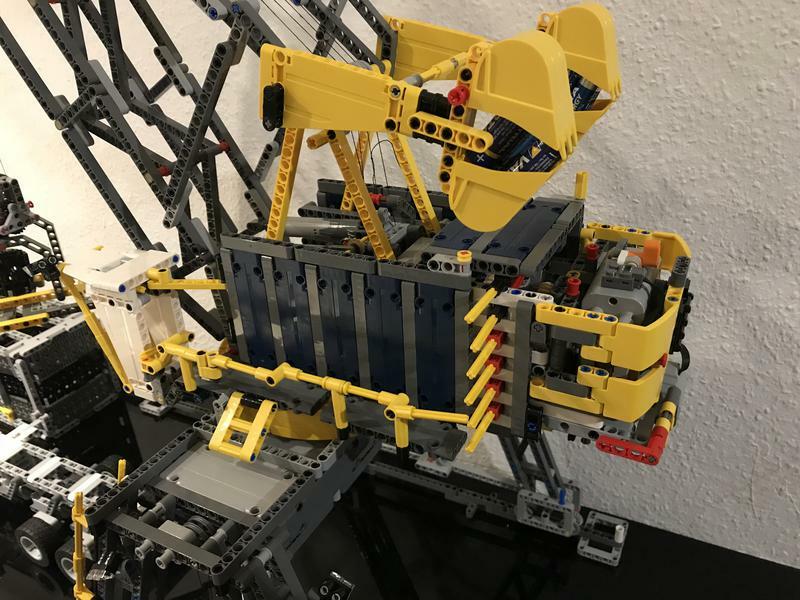 Nov. 2018: Please note the latest changes ( https://bricksafe.com/files/Leonard_Goldstein/luffing_crane/Luffing-Crane_42055-C-Model_by_Leonard_Goldstein.lxf ) and also have a look at the explanation of the rigging on the following pages. And if there are any mistakes in the LDD-file, please let me know.